Established in 1929 as a paper mill, in 2004 it began producing MDF and since 2008 it has been making doors for interiors. Over the last decade Lesplitinvest has grown and invested in technology to expand the collection of models of doors it can supply to the market: more than 40 models, with or without glazing, having various designs and 18 decorations. Making door production more competitive with a collection that’s continuously developing is the requirement that was brilliantly satisfied by the second CPC automatic line for assembling and packaging doors for interiors. Lesplitinvest doors stand out for the variety of decorations and because they are ready to fit without any further “working”, since they come complete with casing, jamb, glazing bead, all having the same decoration. That puts the company ahead of its competitors! 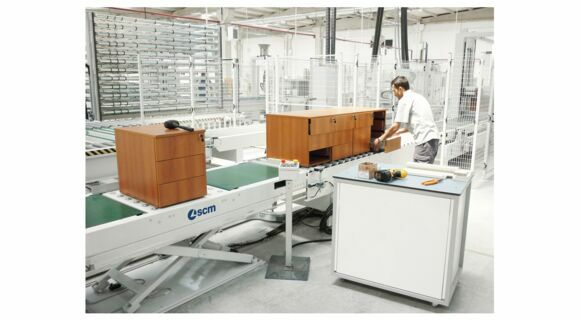 Making door production more competitive (Lesplitinvest annual production of doors for interiors is 350,000 units) with a collection that’s continuously developing is the requirement that was brilliantly satisfied by the second CPC automatic line for assembling and packaging doors for interiors. Let’s look at the details. The double line is made up of a vertical pre-assembly bench with motor-driven automatic tipping and the Pao 2500 S automatic clamp. 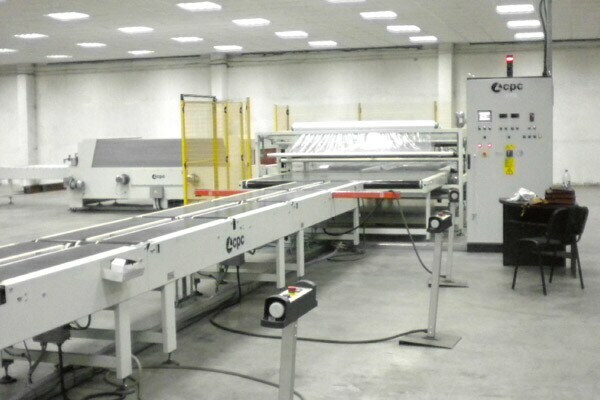 The PAO 2500 S model clamp is fully automated, that is to say, it positions itself with the correct dimensions as the door arrives, adapting to the door measurements. This eliminates any manual positioning, for small batch processing with high productivity. Double the productivity at the assembly stage, even with products having variable dimensions, thanks to zeroing of set-up and handling times typical of vertical clamps with manual loading and unloading. Improved process control through full integration of the product assembly, fi nishing and packaging stages. Drastic reduction in door handling, meaning optimization of spaces within the working area and saving of cycle times due to elimination of intermediate processing buffers.